The organization will accept Boy Scout and Cub Scout members based on the gender identity indicated on their application. Boy Scouts of America is now letting transgender children who identify as boys become Scouts. "I hope you'll join with me in embracing the opportunity to bring Scouting to more families and children who can benefit from what our program has to offer," said Boy Scouts of America Chief Scout Executive Michael Surbaugh. 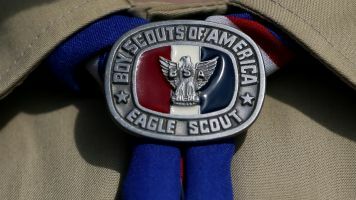 The organization announced this week it will accept Boy Scout and Cub Scout members based on the gender identity indicated on their application, not the information on their birth certificate. The change brings Boy Scouts up to speed with other youth organizations that have transgender-friendly guidelines, including Girl Scouts. The issue was thrust into the spotlight just a few weeks ago when 8-year-old Joe Maldonado was asked to leave his Cub Scout troop. Shortly after this week's announcement, Joe's mother said he was asked to rejoin. The Boy Scouts said the new enrollment policy is effective immediately.